Dragonfly Earth Medicine is a Company based out of Eugene Oregon. They Offer a complete Organic and Veganic Line Of Plant Nutrients, ranging in sizes from 454 grams for small grows, to 30 lb buckets for large scale operations. It all starts From a root. 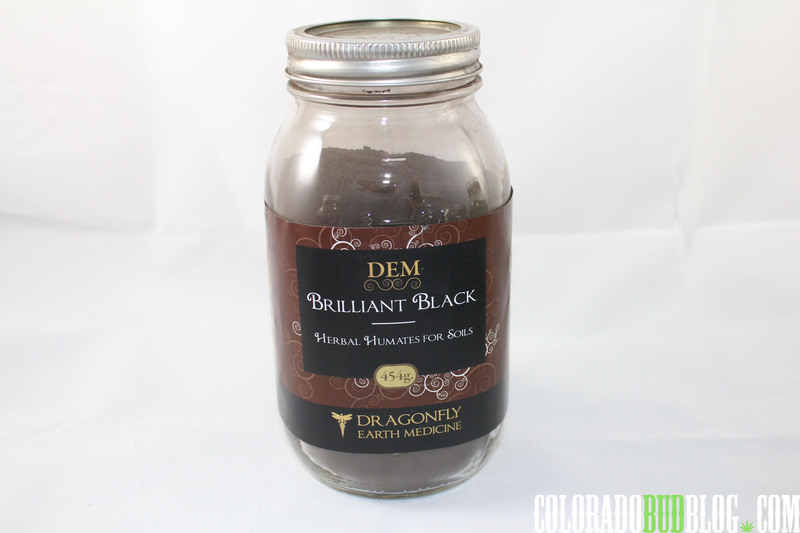 Brilliant Black provides “Herbal Humates for soil” it is Organic Alfalfa blended with Micronized Humates and beneficial bacterias, great for all stages of the plants Life… You can apply Brilliant Black as a Dry Soil Amendment, or make a tea or brew to add with every other feeding. 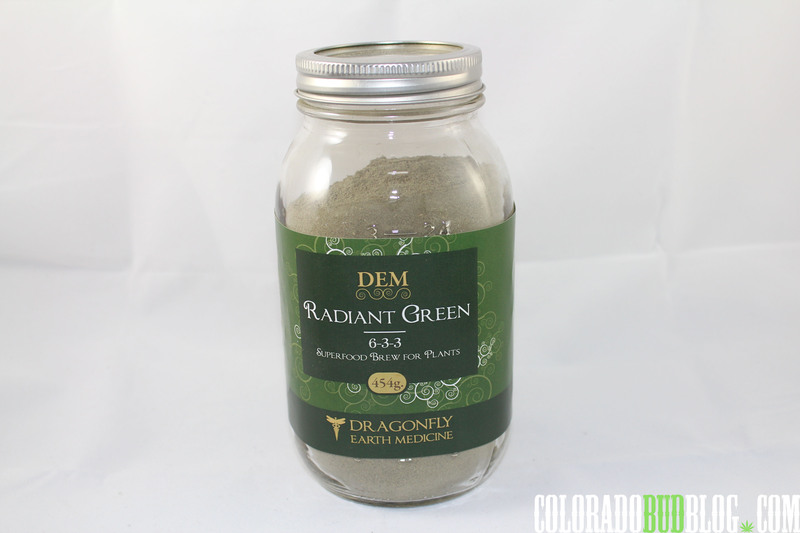 Radiant Green is a Base Nutrient for the Vegetative growth stage. An Organic Herbal and Bacteria Supplement. Radiant Green is good for every feeding during a plant’s vegetative stage, and can be used as a tea, dry soil amendment, or in hydroponics ( as long as it is strained). 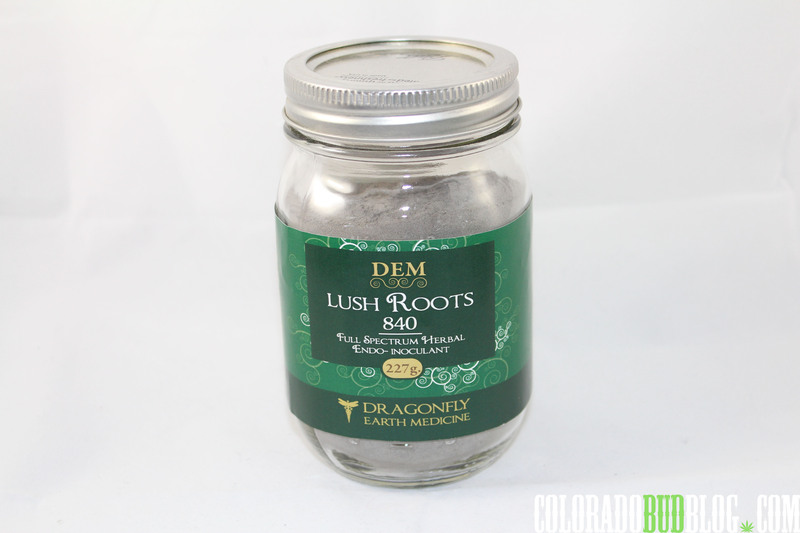 Derived from Alfalfa,Nettle, Kelp, Wild Yam, Spirulina, Horsetail and Volcanic Ash. 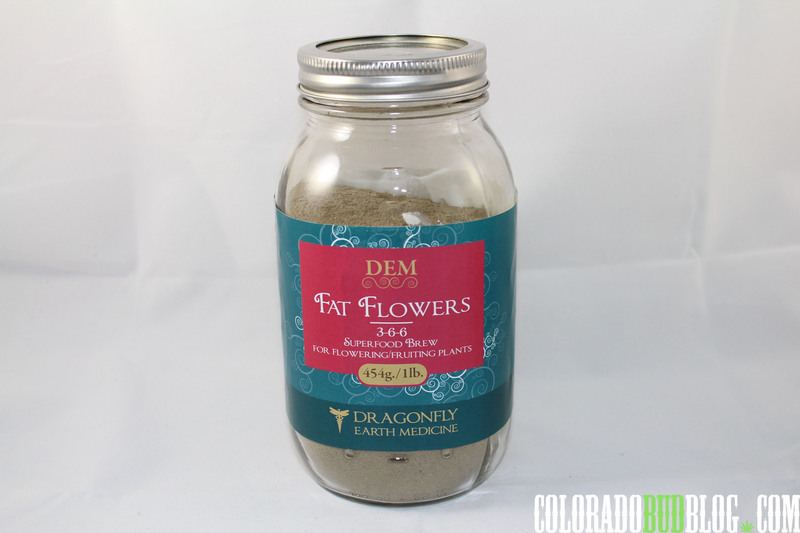 Fat Flowers is an organic, biostimulant, rhizo-tonic elixir for your garden. 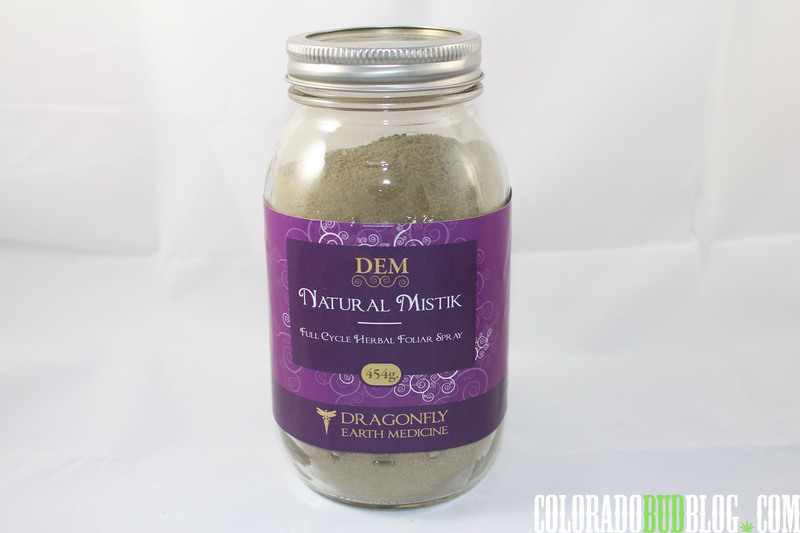 Dragonfly Earth Medicine has formulated a product that contains beneficial bacteria, a blend of organic herbs, sugar and Azomite to provide a base for Flowering/fruiting stage of the plants life cycle. Fat Flowers Can be used as a Dry soil Amendment, Brew/Tea, or in Hydro/aeroponics if strained. Beneficial Bacterias ~ creates healthy digestive probiotics. Increases photosynthesis, plant immunity, stress resistance, root growth, ultimate plant health,beneficial bio-stimulant. 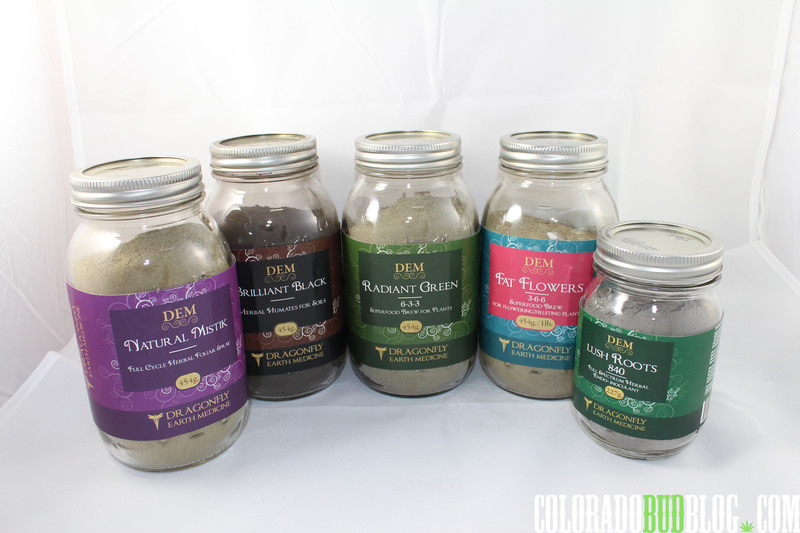 Organic herbal blend ~ offers optimal balanced nutrition, immune stimulant, has all essential vitamins, amino acids, proteins, chlorophyll and trace minerals (from deep tap roots and rhizomes). Includes feminine herbs that encourage maximum yield. Organic evaporated cane juice is used to feed the bacterias and promote fat flowers. Azomite ~ 70 metabolically active minerals and trace elements. 644 ppm./ Rare Earth Elements (REE) which enhances photosynthesis, absicissic production helps with stress, iron absorbtion, protein synthesis, beneficial bio-stimulant. 5% Organic Sugar (evaporated cane juice sugar). A 100% organic plant based and bacteria based foliar spray providing nutrition to your plants while simultaneously cleaning leaves of any possible unbeneficial pathogens. 5% Humic acid derived from lignite. Make sure you go check out their website http://www.dragonflyearthmedicine.com for a host of great information.